The National Consumer Law Center (NCLC) published a report this week on Sallie Mae, the nation's largest lender of private student loans and a major servicer of federal student loans. The report documents a long history of poor performance and allegations of wrong-doing. As documented by NCLC, Sallie Mae was under investigation by both the Consumer Financial Protection Bureau and the Justice Department during 2013. NCLC has produced a very useful and interesting report--but like most reports on the student-loan industry, it does not go far enough with its reform recommendations. In this blog, I will briefly summarize the NCLC report and give my own recommendations for reform. The Student Loan Marketing Association--commonly called "Sallie Mae"--began as a government-sponsored enterprise during the Nixon administration. Today it is a publicly traded corporation involved in nearly every aspect of the student loan business. Sallie Mae is incredibly profitable. According to NCLC, it enjoyed a return of 30 percent on equity in 2006, and its income nearly tripled between 2010 and 2013. As of September 30, 2011, it has received almost $100 million from the federal government for servicing federal loans. Sallie Mae's CEO, Albert Lord, received more than $200 million in compensation between 1999 and 2004 (NCLC Report, p.2). According to Salary.com, Mr. Lord made more than $7 million in total compensation in fiscal year 2012. How does Sallie Mae make its money? Besides servicing federal student loans, it lends money to student borrowers at high interest rates--often much higher than the rates charged under the federal student loan program. In NCLC's view, Sallie Mae's activities are often not in the interest of student-loan borrowers. Its private student-loan business offers loans at higher interest rates than loans offered through the federal student loan program and these loans do not provide options for forbearance and long-term repayment that are available to students who borrow from the federal program. Default rates are high for Sallie Mae's "nontraditional" loan, including loans made to students with poor credit ratings who attend for-profit schools. NCLC also criticizes Sallie Mae's work as a servicer of federal student loans. According to NCLC, Sallie Mae often encourages students who are delinquent on their loans to apply for forbearances instead of steering them into income-based repayment plans, which might be in the students' best interest. Students who receive forbearnces on their loans are excused from making payments but interest accrues on the loan balance, making them more difficult to pay off. NCLC recommends better oversight of Sallie Mae's activities and urges the government to hold Sallie Mae and other private loan servicers accountable for poor performance and legal violations. Who can disagree? NCLC also recommends the creation of a "safety net" for distressed student borrowers who took out private student loans, "including bankruptcy discharge rights and cancellation rights for fraud victims." Again, who could disagree? NCLC's recommendations are reasonable, but they don't go far enough. In my view, the federal student loan program should be the exclusive provider of college loans. In other words, the feds should shut down the private student-loan business completely. Certainly, Sallie Mae and the major corporate banks should not be offering college loans to students at high interest rates and with inadequate consumer protections--loans which are almost impossible to discharge in bankruptcy. It is outrageous that Congress amended the Bankruptcy Code in 2005 to make private student loans nondischargeable in bankruptcy absent a showing of "undue hardship." Even the banks themselves have come to realize that the their private student-loan activity is dirty business. The banks have reduced their student-loan business from $22 billion in loans in 2008 to only $6.4 billion n 2012. And JP Morgan Chase recently announced recently that it is getting out of the private student-loan business altogether. All Congress needs to do to shut down the private student-loan industry is to repeal its 2005 Bankruptcy Code amendment and allow distressed student-loan borrowers to discharge their private student loans in bankruptcy just like any other unsecured loan. That one reform would cause the banks to voluntarily stop offering private student loans. Why won't Congress enact this one simple reform? Perhaps it is because Sallie Mae, the banks and the for-profit college industry pay powerful lobbyists to discourage Congress from cleaning up the giant mess that the student-loan business has become--both the federal student loan program and the private student-loan industry. As NCLC pointed out, Sallie Mae paid lobbyists more than $22 million between 2007 and 2013 to protect its interests. In addition, the Feds should stop paying private companies to service federal student loans and act as loan collection agencies. The government now has $1 trillion in outstanding student loans and 39 million borrowers in repayment status. It is time the government itself takes over the management of this huge portfolio of debt instead of outsourcing loan management to Sallie Mae and other private entities who act in their own private interest and not the interest of student borrowers. Deanne Loonin. The Sallie Mae Saga: A Governmet-Created, Student Debt Fueled Profit Machine. National Consumer Law Center, January 2014. I live in fly-over country and can't get home delivery of the New York Times. Nevertheless, I get the Sunday Times delivered to my home; and I can pick up a copy of the weekday issues at Benny's Car Wash on Perkins Road. I try to read it every day as part of my effort to stay informed about world events. Lately, however, I have begun to suspect that the New York Times writers and I don't live on the same planet. And today's issue heightened my suspicion. Here are some stories that make me shake my head. First, I read Frank Bruni's op ed essay excoriating the state of Texas for keeping an unborn baby alive even though its mother is brain dead, the victim of a pulmonary embolism. The woman's husband and parents want the pregnancy terminated, but doctors say they are bound by law to bring the pregnancy to term. As Bruni himself said, there are no happy outcomes to this sad scenario, but Bruni says Texas is devaluing the lives of the baby's father and it grandparents by not snuffing out the baby's life. I'm sorry, but I just don't get it. I think most husbands would want the baby to live in this situation and so would most grandparents. I think it is unfortunate that they apparently find the baby inconvenient. But to say that the state of Texas and the doctors in charge of this unborn baby's care are cruel is nonsense. Let's move on. Today's Sunday Review section contained two--count-em two--positive articles about legalized gambling. Moises Velasquez-Manoff wrote a piece on Indian casinos in which she compared casino distributions to Native American families to a mother nurturing her child Yeah, right. Ms. Velasquez-Manoff should spend some time strolling around the nation's casinos. She will see a lot of stressed-out, chain smoking elderly people pumping cash into slot machines--cash that most of them don't have to spare. Do those people looked nurtured? And then there is an article by Greg Grandin, a professor at New York University (where students graduate with the highest average student-loan debt in the country). Grandin analyzed an obscure Melville novel that Barack Obama once read and somehow linked it with contemporary American racism, Sarah Palin, Rand Paul, and the Tea Party. Wonder what it costs NYU students to take a course from this guy? Then we have an essay by Sam Polk, a wealthy former financier who claims to have been addicted to making money. He was dissatisfied, he confessed when he only got a bonus of $3.6 million. Hey, fellah. Dorothy Day's got a cure for that addiction. Read Matthew 25. And finally we have an op ed essay by Thomas Friedman, who urges President Obama to tell Americans in his next State of the Union speech that American kids are not doing as well in school as kids in other countries because American parents aren't demanding that their children be challenged more in the classroom. OK, we get it. The American education crisis is the parents' fault. After pondering all this, I felt like I was reading news from a parallel universe--a world in which I do not live. Some people might point out that the New York Times is not meant to be read by people like me and that I should stick to reading the Farmer's Almanac. And they may be right. Certainly, all the advertisements for luxury goods that appear in the Times' supplements are not aimed at me or my family. But here is the problem. The New York Times, the people who read the Times and the politicians that the Times adores (Barack Obama) are contemptuous of the people who live in fly-over country; but they want to dictate how these people live. They express outrage when state legislatures try to put reasonable restrictions on abortion or try to maintain marriage in the Judeo-Christian tradition. They imply that politicians who speak for some of us are white supremacists. They show disdain for American values but they want people who hold those values to fight and die in foreign wars the Obama administration doesn't even believe in. I do not write this from a partisan political perspective. I am no red-stater. I have no more regard for Sarah Palin than the New York Times editorial board. I write from the perspective of a person who believes that traditional American culture--what we might call middle-class culture or Judeo-Christian culture--is basically benign and healthy. And I am alarmed to see powerful political forces show disdain for the traditional values that served this nation pretty well for over 200 years. Thomas Friedman. Obama's Homework Assignment. New York Times, Sunday Review section p. 1. Greg Grandin. Obama, Melville and the Tea Party. New York Times, Sunday Review section p. 6. Sam Polk. For the Love of Money. New York Times, Sunday Review section p. 1. Monica Velasquez-Manoff. When the Poor Get Cash. New York Times, Sunday Review section, p. 12. President Obama's White House Summit with Higher Education Leaders: How Important Was It? President Obama invited about 100 college presidents and higher-education industry leaders to the White House yesterday to talk about expanding education opportunities for low-income minority students. How important was this event? Well, the New York Times carried the story on page 14, so perhaps the event wasn't too important. As its ticket for admission, each institution submitted a plan for expanding college access for poor, non-white students; but I'm sure that didn't take any of those 100 institutions more than 5 minutes to develop. Higher education has been obsessed with affirmative action for more than 30 years. They all have plans in place to increase minority and low-income enrollment. I commend President Obama for highlighting the fact that higher education has become far too expensive, which has created hardships for low- and moderate-income families who want to send their children to college. His bully pulpit approach has probably contributed to the gradual easing of annual tuition-price increases. Universities that charge $50,000 a year for room, board and tuition are embarrassed to raise their prices much higher. But let's step back and look at the big picture. The Higher Education Act of 1965 was intended to provide opportunities for low-income students to attend college, regardless of their financial wherewithal. Affirmative action, which the Supreme Court approved in Grutter v. Bollinger was intended to expand educational opportunities for minority students. Today, the federal government pours more than $100 million a year into student financial aid, and total student indebtedness has reached $1.2 trillion. Average student-loan indebtedness among those who take out loans (about 65 percent) is pushing toward $30,000 by the time students graduate. Millions of college graduates (almost half) hold jobs that don't require a college degree, and the gap between college completion for low-income families and high income families has widened. Will more money, more special programs, more focus on affirmative action improve this picture? I don't think so. I think Michelle Obama might have made the most perceptive observation at yesterday's White House Summit. Intervention and encouragement are the key, she said, to ushering low-income and minority students into the world of higher education. I agree, and I speak from personal experience. I came from an Oklahoma farm family and got a bachelor's degree from a public university in Oklahoma without any guidance about what I was going to do with that degree. I had no clue about how to develop a career or find a rewarding job with a middle class salary. A friend of mine was attending the University of Texas School of Law, and he encouraged me to explore going to law school. My friend gave me the name of the Dean of Students, the late Thomas J. Gibson; and I made an appointment to see him. Dean Gibson took time out of his busy schedule to ask me about my background and interests, and he made arrangements for me to sit in on some law-school classes--including a class taught by the great Charles Alan Wright--one of the nation's premier authorities on federal civil procedure and the courts. As the result of my friend's encouragement and Dean Gibson's kind interest in me, I went to law school and graduated with honors. And my legal education changed my life. My point is this. We can pour more money into higher education; we can establish more federal programs; and we can hire more college administrators to administer those programs. But what young people really need is for someone to take a personal interest in them and help them navigate the seemingly impenetrable bureaucratic obstacles to finding out what they need to know to get an appropriate college degree without going into too much debt. In short, we need more kind and civic-minded people in higher education--more people like Dean Gibson. Unfortunately, for all the rhetoric and posturing by our college presidents and senior administrators, kind people are in short supply in our nation's college and universities. And a White House Summit is not going to change that sad reality. Allie Bidwell. Millions of Graduates Hold Jobs That Don't Require a College Degree, Report Says. The Chronicle of Higher Education, January 28,2013. Jackie Calmes. Obama Lauds Pledges to Expand College Opportunities. New York Times, January 17, 2014, p. A14. According to a story in the Pittsburgh Post-Gazette, Penn State football coach Joe Paterno--Penn State's beloved "Joe Papa"--signed two $100,000 contracts to promote Bank of America products and sign some football helmets and footballs. Apparently, Joe's $13 million pension, his access to a private jet, and his million dollar salary were not enough for him. He had to sign on as a shill for Bank of America. No wonder he didn't spot Jerry Sandusky seducing little boys in the Penn State locker room. Joe was too busy autographing footballs. And the alumni association for Penn State University, Joe Papa's employer, also had a special deal with Bank of America. According to the same Pittsburgh Post-Gazette story, Penn State received more than $2.7 million in fees and royalties from a deal to help a Bank of America subsidiary market high-interest credit cards to Penn State students and alumni. Penn State's alumni association received a "1 percent kickback royalty" on retail purchases made by Penn State alumni on the Penn-State branded card and the association got 0.5 percent of purchases made by Penn State students. Of course, both deals were confidential. We would not know about them were it not for a 2009 federal law that requires colleges and universities to file copies of their agreements with credit card companies with the Consumer Financial Protection Bureau. At one time, more than a thousand colleges and universities had deals with credit card companies. Today that number has dropped to about 600. According to the Consumer Financial Protection Bureau, some universities made millions on these deals, but others got very little. The University of St. Thomas, a Catholic university in Houston, Texas, only made $2,365 on its credit card deal in 2012. Why sell your soul for peanuts? The Pittsburgh Post-Gazette story is another indication of the corporatization of American colleges and universities. Instead of focusing on their mission, which is to provide students with a high-quality education at a reasonable price, they wandered into the banking business, taking kickbacks from credit card companies in return from helping them peddle high-interest credit cards to college students. This tawdry tale provides yet another reason for a federal open-records law that would require all colleges and universities that receive federal student-aid money to make all their records available to the public. Obama administration officials summoned the leading private student-loan creditors to a meeting at the Treasury Department yesterday to urge them to do more to help student-loan borrowers who are in danger of default. Who attended this meeting? Arne Duncan, Secretary of Education, and Richard Cordray, chief of the Consumer Financial Protection Bureau, represented the government. And these are some of the banks that attended: Sallie Mae, Wells Fargo, JP Morgan Chase, RBS Citizens Financial, PNC Financial Services, SunTrust Banks, and Discover Financial Services. The Obamacrats delivered their usual blather about easing the plight of overburdened student-loan borrowers. This is how a government spokeswoman described the meeting. Participants discussed strategies to assist borrowers in successfully managing their private student loans, including servicing best practices and approaches to private student loan modifications and refinancing. Yak, yak, yak. The only way to get the private banks to behave decently toward indebted college students is to force them out of the student-loan business altogether. And this could be done so easily. In 2005, Congress amended the Bankruptcy Code to make private student loans nondischargeable in bankruptcy absent "undue hardship"--the same standard that applies to federal student loans. Consequently, private student loans--like federal student loans--are almost impossible to discharge in a bankruptcy court. All Congress needs to do to reform the private student-loan industry is repeal the 2005 law and allow insolvent debtors with private student loans to discharge those loans in bankruptcy. I guarantee you, this single legislative change would dry up the private student-loan industry overnight. But Congress won't do the straightforward thing. No--it will tinker with all kinds of cosmetic fixes and allow the private banks to continue exploiting colleges students. Hands down, Sallie Mae is the chief offender. 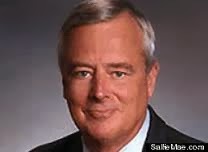 According to a 2012 news story, Albert Lord, Sallie Mae's CEO, made $225 million between 1999 and 2004 and was building his own private golf course. What do you think his total compensation is today? Democrats seem to think they can establish their liberal credentials simply by expressing sympathetic platitudes. Arne Duncan talks about helping student borrowers but hasn't done a damn thing to alleviate the student loan crisis. And Senator Elizabeth Warren, a self-proclaimed consumer's advocate, is all bark and and no bite. Why doesn't Congress act more aggressively to give college students some relief? Maybe because the private lenders and private-college industry hire well-paid lobbyists to protect their interests and make strategic campaign contributions to powerful politicians. Personally, I won't start believing the so-called liberal Democrats who express concern about the student-loan crisis until some of them throw their support behind some straightforward and simple reforms. First and foremost, insolvent students who took out private loans to finance their education should have access to bankruptcy. "Ye shall know the truth . . ." Have our great public universities lost touch with the people they were founded to serve? Americans revere our Ivy League universities. Hundreds of American cities have a Harvard Street or a Yale Avenue. I live in the College Town subdivision of Baton Rouge, and Harvard Avenue is just a few blocks from my house. But American adoration of the Ivy League colleges is misplaced. The real jewels in the crown of American higher education are our nation's great public universities: University of Wisconsin, University of Michigan, University of California and a few others. Founded and funded by state legislatures, these public universities were intended to be places where young men and women could receive a first-class education in their home states. "Ye shall know the truth and the truth shall set you free." 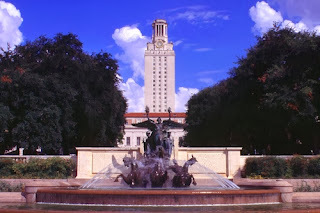 University of Texas, where I attuned law school, certainly ranks with the University of Michigan and the University of California as one of the nation's leading public universities. At one time, bright young men and women from the cities and small towns of Texas could enroll at UT at very little cost and see a whole new world open up--the world of great ideas and great ideals. In North Toward Home, Willie Morris, who later became a noted journalist and editor of Harper's magazine, wrote of his experience at UT in the 1950s. Morris grew up in the small town of Yazoo City, Mississippi and attended the University of Texas in the early 1950s. He later made his home among the intellectual elites of New York City. Years later, this is how Morris described how the University of Texas changed his life. "I believe now," Morris wrote, "that the University of Texas was somehow beginning to give me an interest and a curiosity outside my parochial ego." It was at the University of Texas, Morris reflected, where he came to accept the notion of ideas "as something worth living by." I first read North Toward Home while a student at UT, and my experience was similar to Morris's. I still recall standing in front of the University's Main Library and reading these words above the steps, chiseled in stone in letters two feet high: "Ye shall know the truth and the truth will set you free." Those words thrilled me then, and I must say UT kept its promise. The law school opened a whole new world for me--a world of disciplined and clear thinking, academic rigor, and a reverence for ordered law. I attended UT Law School at minimal expense; tuition was only $500 per semester. 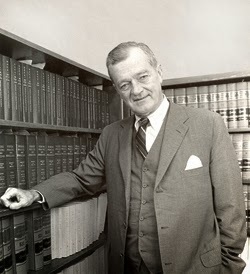 At that time, the Law School existed primarily for Texans. In fact, the law school was legally obligated to admit 85 percent of each entering class from among Texas citizens. I met young men and women from all over Texas: African Americans from Houston and Dallas, Latinos from the Rio Grande Valley, Anglo men and women from such small towns as Vernon and Longview. Today, I fear, the great American public universities have morphed into entirely different entities from the ones envisioned by the state legislatures that founded them. As state funding has shrunk, the universities have become more and more dependent on tuition, endowments, and research funds. Over time the great public universities have become to look very much like our elite private universities. They have lost their connection to the people of their respective states. I see this phenomenon illustrated by rising costs and by the elitist posturing of our major public universities on social issues. At their best, these universities once offered an education to the bright young men and women of their states--regardless of race, class, or wealth. And tuition was kept down so the cost of receiving a college education would not be prohibitively expensive. Today, the law school I attended for $1,000 a year charges Texas residents $36,000 a year in tuition, and it takes race into account when making admission decisions. In fact, I believe all the major public universities have aggressive affirmative action policies in place. Until the policy was struck down by the Supreme Court, the University of Michigan even had a point system for admitting undergraduates that gave special preference to minorities. Our great public universities are not only obsessed with race, they have increasingly become hostile to tradition religious values. The University of California's Hastings Law School refused to recognize a campus chapter of the Christian Legal Society as a student organization on the grounds that it declined to accept members who did not subscribe to traditional Christian doctrine on sexual morality. The University of Texas tried to bar a student group from handing out literature opposing abortion. Today, our major state universities still describe themselves as public institutions but they increasingly look like the elite private universities in terms of their values. Serving the common people of their respective states is too parochial for them. Leave that to the regional institutions like Sam Houston State University in Huntsville or Western Michigan University in Kalamazoo. This is fine, I suppose, but university leaders should be honest about their institutions' new identities. Our most prestigious public universities now serve to advance a global culture of postmodernism and not the people of their states. In my view, state legislatures should cut all ties with these universities--formally designating them for what they really are: elitist private institutions. Christian Legal Society Chapter of the University of California v. Martinez, 130 S. Ct. 2971 (2010). Gratz v.Bollinger, 539 U.S. 244 (2003). Justice For All v. Faulkner, 410 F.3d 760 (5th Cir. 2005). Willie Morris. North Toward Home. New York: Delta Books, 1967. Drew Faust, president of Harvard University, took time out from her busy schedule to co-author an op ed essay for USA Today on the value of arts education. Anxiety abounds, Faust and co-author Wynton Marsalis noted, about the ability of our current educational system to respond to a rapidly changing world. "Yet," they conclude, "the education we are fashioning for our children and their children seems ill-suited for the lives they will lead." We need education that nurtures judgment as well as mastery, ethics and values as well as analysis. We need learning that will enable students to interpret complexity, to adapt, to make sense of lives they never anticipated. We need a way of teaching that encourages them to develop understanding of those different from ourselves, enabling constructive collaborations across national and cultural origins and identities. Faust and Marsalis then argue that many of the skills and attributes that students need to prepare themselves for life are taught through the arts--drama, music, dance, etc. Drew Faust is president of Harvard, the nation's most prestigious university and perhaps the most prestigious university in the world. We can reasonably assume that Harvard is providing students with an education that instills the values Faust and Marsalis articulated. Indeed, we might reasonably assume that all of the nation's elite universities--Harvard, Yale, Georgetown, Stanford, Brown, etc.--are instilling these values. Unfortunately, I don't think these values are being taught in today's most prestigious universities. Let's look at the people who work in the Obama administration, almost all of whom have undergraduate or graduate degrees from elite American universities. For example, Jacob Lew, Secretary of the Treasury, has degrees from Harvard and Georgetown. Valerie Jarrett, one of President Obama's top advisers, received a degree from Stanford; and Obama himself has degrees from Columbia and Harvard Law School. Do we see the Obamacrats exercising sound judgment as well as mastery? Do we see them demonstrating ethical values as well as analysis? Do we see them expressing an appreciation for diverse cultures and religious traditions? No, we do not. Jacob Lew, our Secretary of the Treasury, received a $685,000 exit bonus from New York University when he left NYU to go to work for Citigroup. He also got a special deal from NYU on a home mortgage. Illegal? No. But certainly this compensation is inappropriate for a person working at a tax-exempt university. And how about Valerie Jarrett, who basically said Americans are too dumb to understand President Obama's grand designs. Has she demonstrated an understanding of people different from herself? No, she has shown contempt for the very people she is supposed to be serving. And President Obama, who has accumulated honors and accolades all his life--has he demonstrated moral rectitude? Has he shown himself able to build "constructive collaborations across national and cultural origins and identities"? No, he has repeatedly insulted the Catholic Church, casually and perhaps even unknowingly. He has lied to the American public. His administration has managed to outrage many of the major nations of the world: France, Germany, Spain, Brazil, Mexico, Israel, Saudi Arabia and India among them. It is time for Americans to realize that our nation's elite universities are not producing the leaders we need. The people who run our government--almost all graduates of our nation's elite colleges, are arrogant, provincial, condescending, and contemptuous of traditional American values, including the values associated with Christianity. Perhaps more art education would produce better citizens as Faust and Marsalis suggest, but somehow I think President Obama and his cronies would still be as crude as they are now, even if they had taken a few art classes at their high-toned colleges. Drew Faust and Wynton Marsalis. The Art of Learning. USA Today, January 2, 2014, p. 7A.